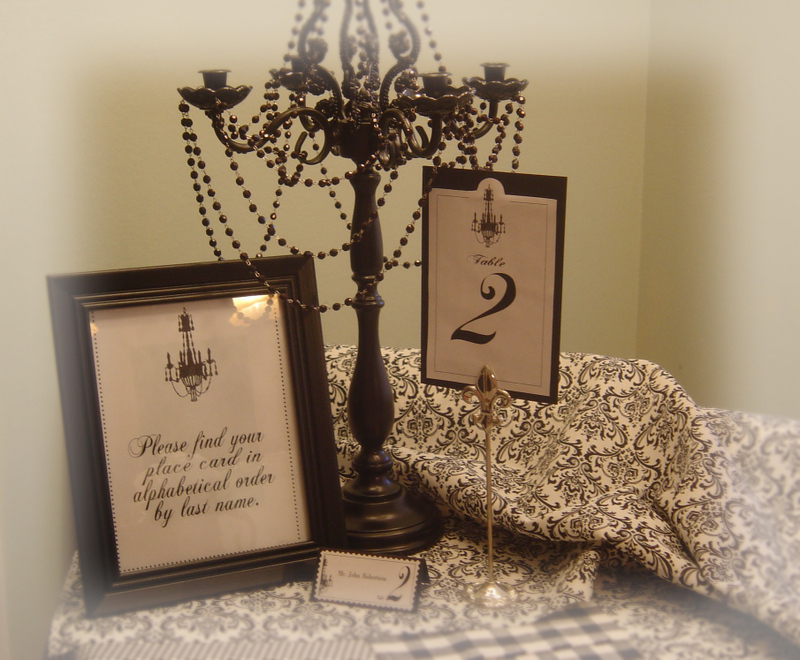 Working on the Table and Place cards now....this wedding is going to be much more formal than the last. All in black and white...her dress is more ivory really (gorgeous...simply gorgeous!) and candle light everywhere. I was going to have to order the black and white brocade like fabric online, but yesterday when I was in the $2 Fabric store with a friend I found the exact fabric...not even inventoried off the delivery truck! Score! 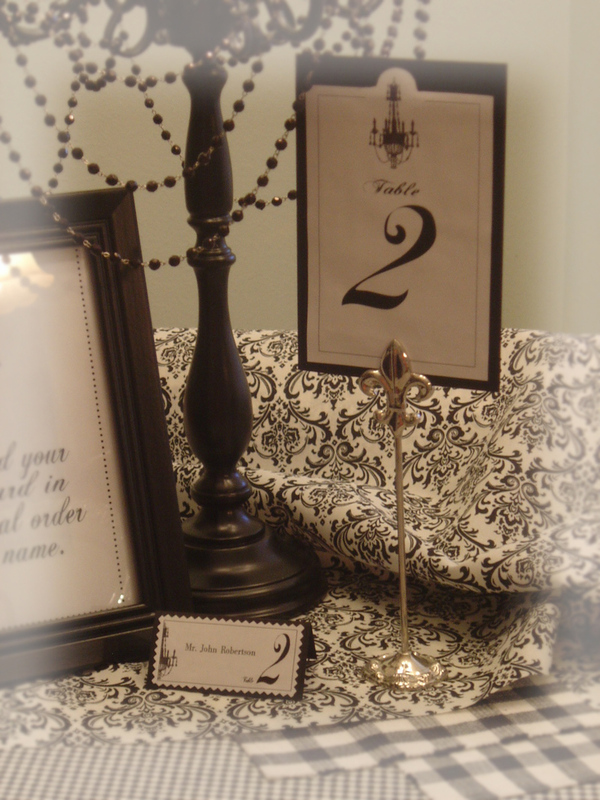 *sigh* I cannot put into words just how much fun this is, to create things out of simple black and white paper, and have it come out so dressy looking. It's all too much fun, that's what.